Bethel Physics students are recognized for exemplary science outreach efforts in the community. January 31, 2019 | 4 p.m. The Bethel Society of Physics Students (SPS) was awarded the Blake Lilly Prize for 2018 in recognition of its exceptional efforts to educate and inform the general public, especially elementary students, about the importance of physics and to ultimately promote scientific literacy. Currently advised by Instructor of Physics Alyssa Hamre and led by three student officers, Bethel’s SPS chapter has placed particular focus on science outreach in recent years. 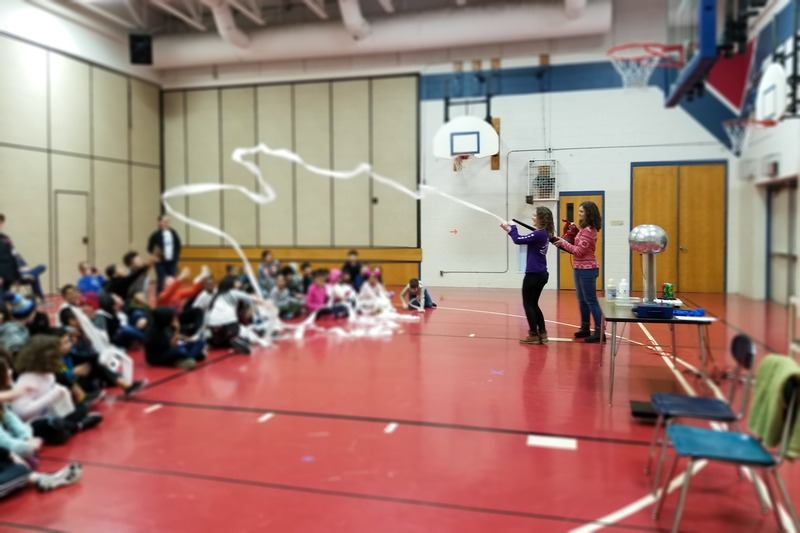 In the last year alone, Bethel physics and engineering students performed over 70 physics demonstrations for around 230 students at local elementary and middle schools. These demonstrations introduced physics principles to the students through interactive presentations involving everything from magnets to leaf blowers. Coe also emphasizes the benefits of outreach to the Bethel SPS students themselves. He explains that by presenting to young students, SPS members learn to communicate scientific information in such a way that audiences at numerous levels of scientific knowledge will be able to understand and engage with the presenter, an essential skill for anyone pursuing a career in science. 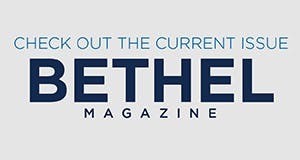 Bethel’s chapter will be featured for their outreach efforts on the National SPS website and in 2019 SPS publications.